There is only One who can answer the whys and knows you are hurting and is ready to help. One thing I do want to say is Get Ready – as a human being it will happen. We cannot prepare for a crisis after that crisis occurs. Preparation must take place before we are nose-to-nose with the issue. Sometimes we are barely keeping balance on the spiritual tightrope as we are, then something shakes the rope and disaster blows into the door. 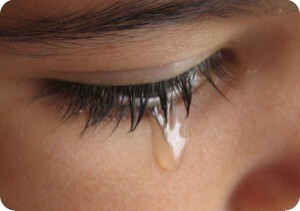 If the “day of adversity” caused you to stagger and slump into depression, your strength was small. In other words, the real test of your spiritual stability does not come while your little pond is free from ripples. It comes when the waves of suffering roll in. If you maintain an optimistic, faithful outlook, your strength is great. You were properly prepared for the day of distress. If you are barely limping along now, barely able to handle life’s pressures, what are you going to do when the Cavalry charges in? God wants you to be properly prepared for the days of affliction because they will come. Job lost his crops, his cattle, his home, his property, his children and finally his health. On top of this his wife told him to curse God and die. He spent days bankrupt and broken and he spent many days listening to a few so called friends who pointed self-righteous fingers and blamed him for all his own trouble. Did you notice what Job told his friends? “God desired to bring these troubles into my life, and he knows what is best. I will not turn aside in doubt”. We should be prepared for suffering before the suffering occurs. Whatever the affliction, it has been appointed or approved by God our heavenly Father, for our good. Several years ago a friend of mine had some real tragedy in his life. His first wife died of cancer. He then remarried and his second wife was killed when the furnace exploded in their home killing his father and wife. He then remarried and his third wife and ten-year-old son were killed in an automobile accident. I went to the hospital to see him and he screamed out at me, “Why? Why am I always left? 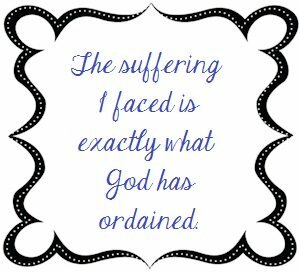 Why them and not me?” II Corinthians 1 gives three very important reasons for suffering. He genuinely and deeply cares. Then why are we afflicted? First: That we might be prepared to comfort others. Who can understand what it is like to sit alongside a friend or a loved one who is dying with a terminal illness? A split up home? The loss of a child? A teenager on drugs? An alcoholic husband? Failure in school? The loss of a business? Who understands? I will tell you who – the person who has went through it himself or herself the way God wanted them to. 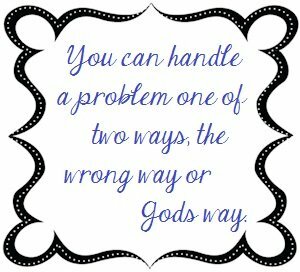 You can handle a problem one of two ways, the wrong way or Gods way. Second: The way we were comforted by God. We can share that with this individual. This is one of the reasons we suffer – to be prepared to bring encouragement and comfort to others who come across our path enduring a similar situation. We need to remember that. Why do we have trials? – That we should not trust in ourselves. Paul says we suffer so we can learn to come to complete end of ourselves and to learn total dependence on God. 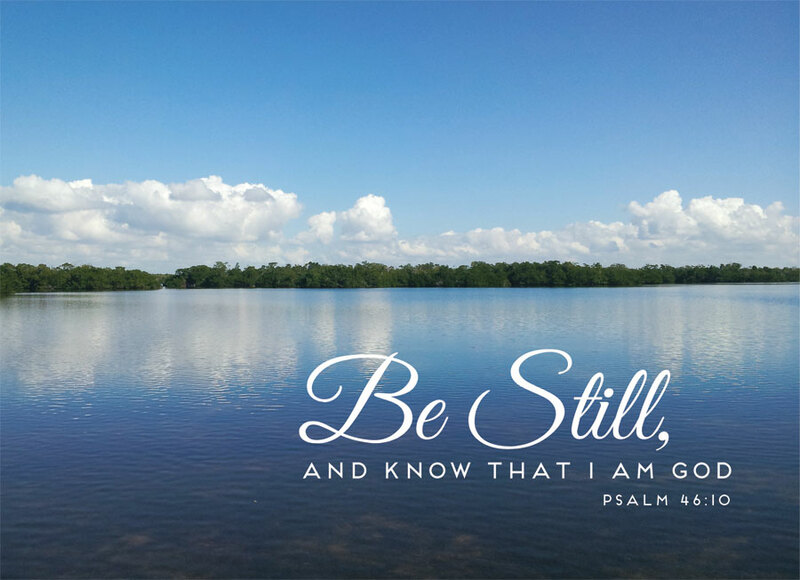 When Paul’s own strength had ebbed away, he found another Strength. When Paul finally hit bottom, he learned he was in the palm of God’s hand. He could sink no lower than the Everlasting Arms. Maybe that is the position you are in right now? You are stubborn; you are fighting, and resisting God. You have not laid down your arms and decided to trust in Him completely. My friend, let me tell you something from experience; it will not get any better until you realize you are nothing in yourself. Anything that is accomplished for God must be done the way that He wants it done. This problem may be in your life because you are depending upon yourself and not God. Nothing enters your life accidentally – remember this. 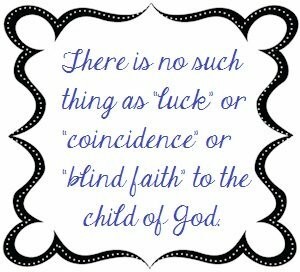 There is no such thing as “luck” or “coincidence” or “blind faith” to the child of God. Behind our every experience is our loving sovereign God. 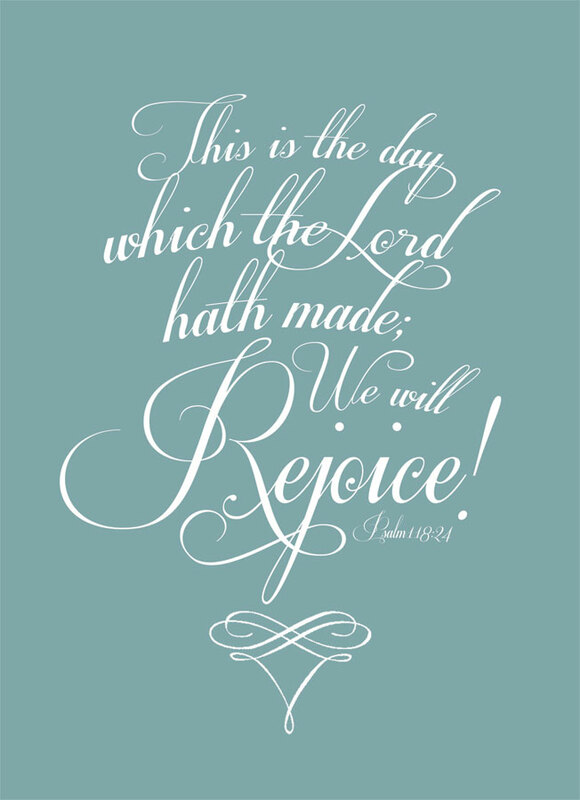 He is continually working things out according to His infinite plan and purpose and that includes our suffering. When God wants to do an impossible task, he takes an impossible individual and crushes him. Being crushed means being redeveloped to be a vital, useful instrument in His hands. Many Christian families are on the sideline today, not serving God, because people, circumstances, or things have hurt them. In all three of these, the big question is whether you will trust God or not? Most Christians are led by their emotions in times like these. Being led by your emotions will lead you into sin every time. 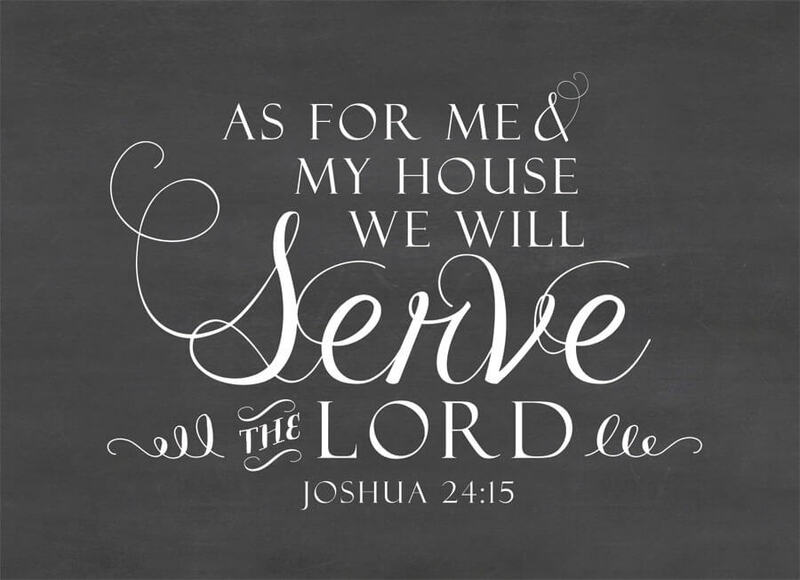 You will not be in a position to be an effective servant of the Lord because of your concern for yourself. Turn your emotions over to God and seek to realize what God desires in your life rather than being angry with God, people, circumstances, and things. This article has been such a help to me! I have read and reread it multiple times. It’s so needful to remember that the trials are given so that we may grow spiritually and be an encouragement to fellow Christians.